Macgo Mac Blu-ray Player Pro version greatly enhances the operability on Blu-ray menu where you can choose scenes, set up subtitles, audio tracks, and even watch special features by using the arrow keys on the keyboard. 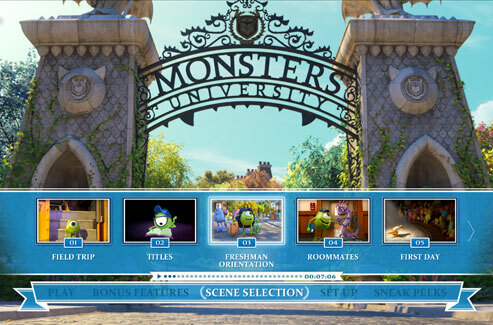 Note: Do not use the mouse to click on the menu unless the Blu-ray disc allows this operation itself (Right now not many discs contain the keyboard operating features). Otherwise the menu won't respond. Macgo Mac Blu-ray Player Pro version will bring you high-definition of clear and natural visual experiences without stutters or lags. 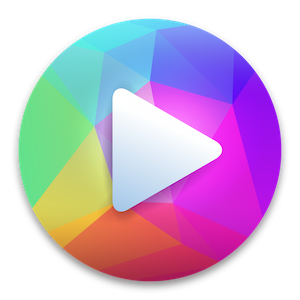 Viewers can see every detail of picture with bright colors and sharp subtitles when playing 4K videos. Note: Currently the Pro version doesn't support 4K UHD Blu-ray discs. 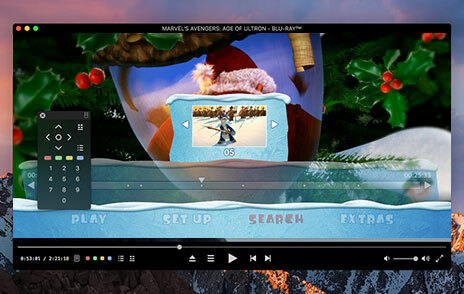 The unique hardware acceleration tech - BluFast MX can reduce the workload of hardware during Blu-ray playback. Once you enable hardware acceleration, it can save 20% - 50% of the CPU, reduce RAM, extend your Mac battery life and let you run multiple tasks while playing Blu-ray movies. Macgo Mac Blu-ray Player Pro directly outputs with high-definition quality to make the perfect original sound experience. It supports DTS 5.1, Dolby TrueHD Audio DTS-HD Master Audio and Pass Through without any quality loss to take you experience HD audio-visual feast. Note: Due to the restriction of Mac, E-AC-3, TrueHD, DTS-HD, AC-3, DTS audio tracks can only output 5.1 audio tracks. • Mejoras de rendimiento con libVLC estático. • USB 2.0 above or FireWire 400 above.